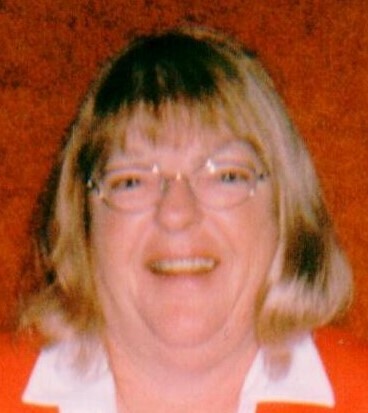 Obituary for Janet Yvonne (Brigham) Phelps | Fleming & Billman Funeral Directors, Inc.
Janet Y. Phelps, age 67, former Ashtabula and Conneaut resident, died Sunday afternoon at the Ashtabula Co. Nursing & Rehabilitation Center in Kingsville Twp. She was born October 11, 1951 in Ashtabula, Janet was the daughter of the late Corliss & Beverly (Burlingame) Brigham. A Jefferson High School graduate, Janet worked for many years as an STNA and volunteered for over a decade at the East Conneaut Fire Dept. Station #3. She was a patient and good-humored caretaker who always had a minute to spare to visit with her charges. She was devoted to her family and friends and was beloved by her nieces and nephews for supporting them in their enfeavors. She is survived by a sister, Virginia E. (William) White of Marysville and a brother, Grant R. Brigham of Cincinnati; two nephews, James White & Timothy White and three nieces, Mandy White, Brandy Brigham & Alicia (Bruce) Frye. Funeral services will be held Friday at 1:00 P. M. at the Jefferson Home of Fleming & Billman Funeral Directors and Crematory, 49 W. Jefferson St., Jefferson with the Pastor Adam Page of the Eagleville Bible Church officiating. Burial will be in Eagleville Cemetery. Visitation will be Friday from 12-1 P. M. at the funeral Home. Memorial contributions may be directed to Hospice of the Wester Reserve, 1166 Lake Ave., Ashtabula, OH 44004. The Fleming & Billman Funeral Homes and staff are honored to serve the Janet Phelps family. Visit fleming-billman.com to view obituary, express condolences, send a flower or light a candle.